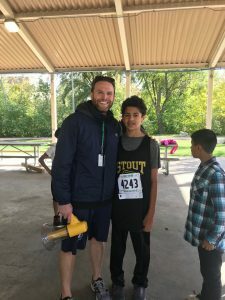 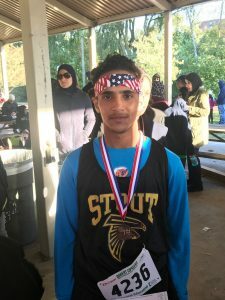 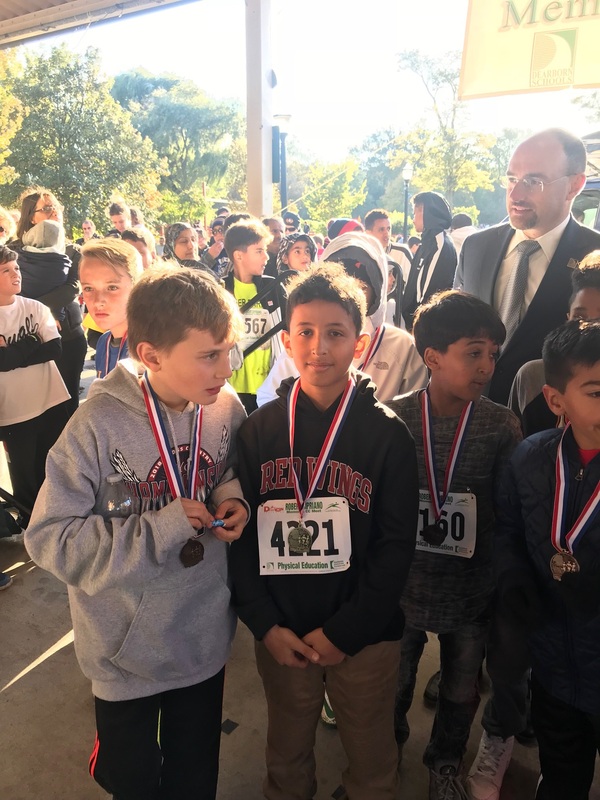 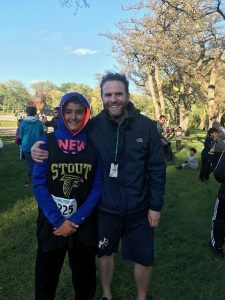 7th Annual Robert Cipriano Cross-Country Race a Windy, Success for Stout Middle School! Mr. Vietinghoff poses with 8th grade runner Evan Reynoso prior to the race. 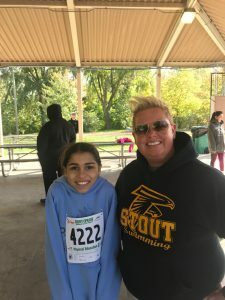 Ms. Layson poses with 7th grade participant, Lily Reynoso prior to the race. 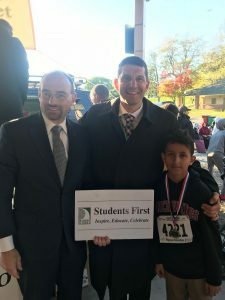 Board Trustee Thorpe and Superintendent Dr. Glenn Maleyko pose with first place winner for the 6th grade boys, Wassam Shohatee. 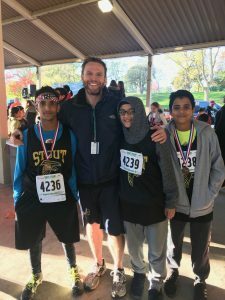 Congratulations to all Stout Middle School student-participants. 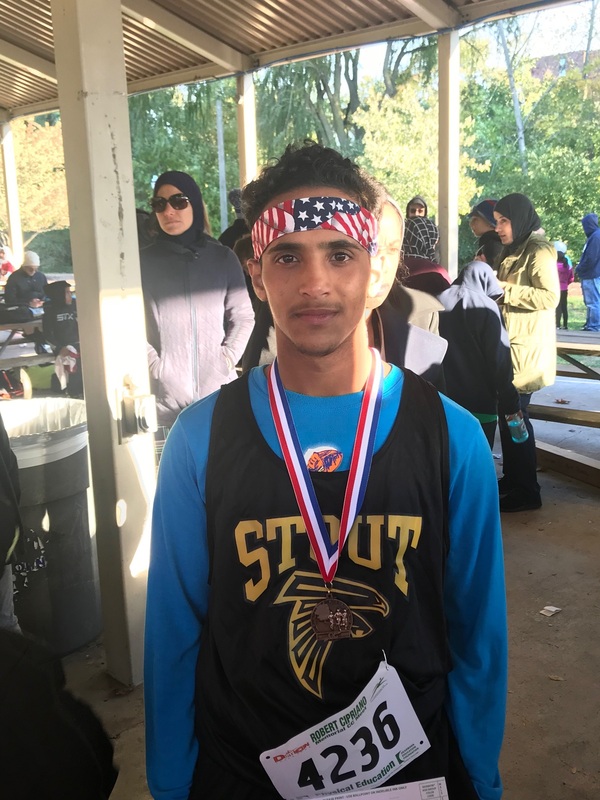 Overall, as a school, Stout finished in third place. Well done, Falcons!